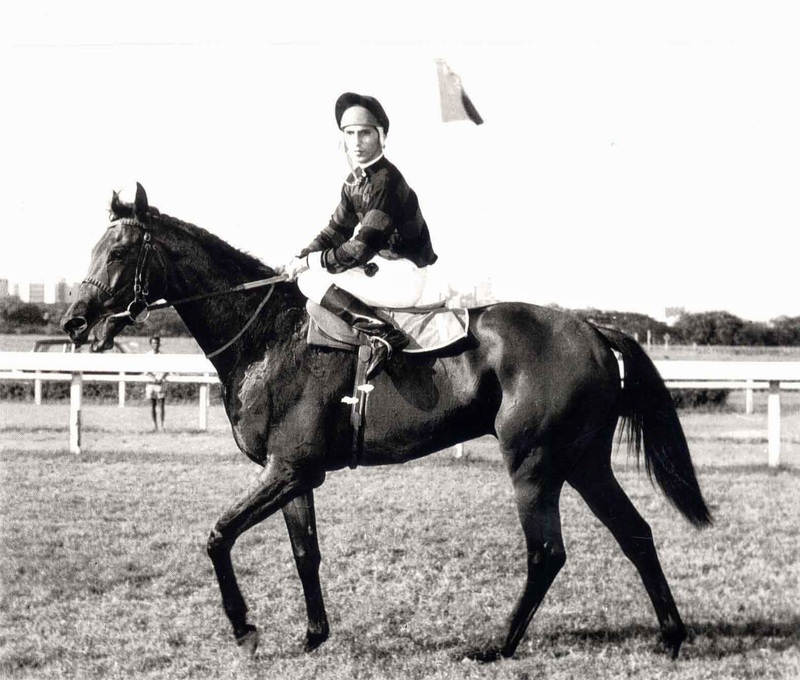 The year 1978 was a glorious one for Karl Umrigar – a young man who won many prestigious horse races, including the Indian 2000 Guineas and the Indian Oakes. Finally, Karl Umrigar fulfilled his dream – every jockey’s dream – to win the Indian Derby. His name remains in the Indian Derby scroll of honour. But just at exactly the moment Karl won, he fell from the horse. A fall that finally saw the country mourn for him when the headlines of the Indian Express read, “The King is Dead.” Karl Umrigar, the young champion and loved by many, was laid to rest on May 3, 1979. While her family tried to pull on with daily routine, Nan Umrigar found herself in such a state of agony and trauma that she couldn’t resume a normal life. She couldn’t let go of her son. This is another message Nan Umrigar received from Karl. 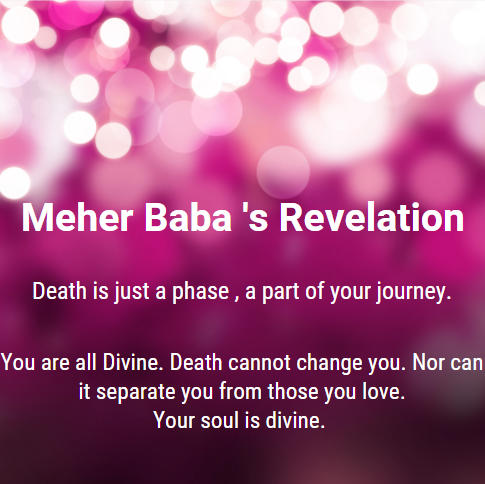 Baba, whom Karl refers to, is Meher Baba. From here, Nan Umrigar’s life changed forever. She communicated daily with Karl, learned more about the Spirit World, after life and how souls reach the places they do after death. There are so many interesting things to learn about the Spirit World - how good souls are trained to serve humanity wherever there is great suffering. Their work is silent and no one understands the extent to which they help countless number of people every day. An interesting instance refers to how Spirit Guides sometimes work together in areas of massive destruction that cause the death of thousands of innocent lives, such as in Israel. Karl explains that he cannot be contacted because he is involved in a mission relating to Israel. Are you wondering: What can Spirit Guides do when people are already dead? They do LOTS of work but it's not my place to tell you their story. You should simply read this book to find out! 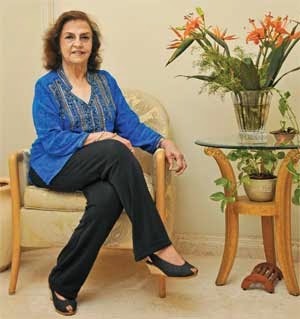 The lady shown in the picture below is Nan Umrigar, the author of Sounds of Silence: A Bridge between Two Worlds. The most important change is that Nan, who had not been a spiritual person, is initiated by her son Karl towards his guru and protector Meher Baba – considered to be an Avatar among the Parsis in Pune. 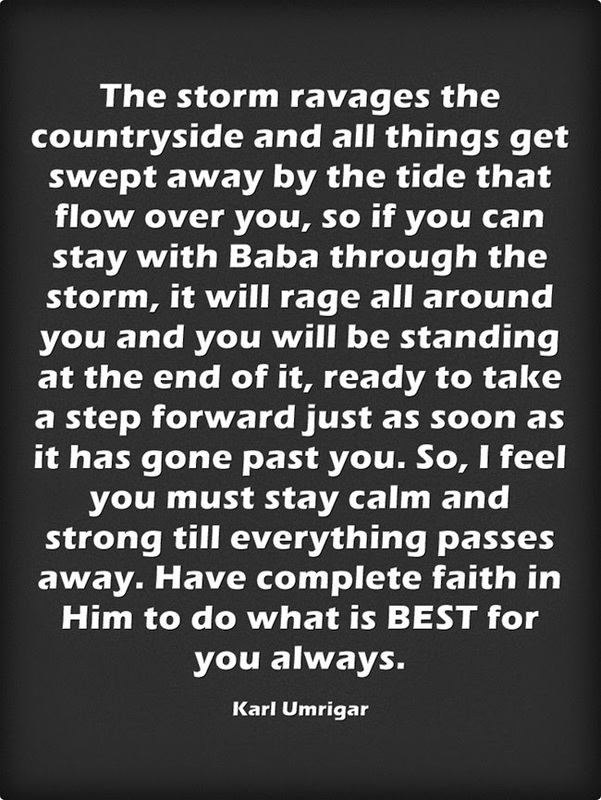 The story of Meher Baba is an interesting one. He grew up as an ordinary boy. In his young days, he was blessed with divinity by the Five Divine Masters of Spirituality, the last one being Shirdi Sai Baba, who is believed to have blessed him with spiritual powers. Thereafter, Meher Baba began to perform miracles and he led a life of austerity, self-inquiry and constantly demonstrated loving humanity. Nan Umrigar is like any other mother. Initially, she did everything to keep her son to continue communicating with her. If it meant saying ‘Yes’ to his guru in the Spirit World, she was ready to do it. But after a period, she was curious to find out more. She went to the place of Meher Baba, the ashram city he had founded. She researched, talked and found out everything she could about Meher Baba through repeated journeys. Each journey made her more and more intensely absorbed towards accepting Meher Baba as her Guru, not because Karl said so, but because she became convinced about Baba's divinity. Nan Umrigar’s book will SHOCK you. It challenges everything you believe you know about death. This is also a book that bares a mother’s soul with absolute honesty – her longing for her son, her need to continue communication and then to find a purpose to that communication so that she could use her talent to serve others who were suffering just like she had. Nan Umrigar could have kept quiet but she didn’t. She shared all her experiences with the Spirit World in this book to offer hope and courage for others who lose their loved ones. Her book helps you to see death as a phase that does not necessarily imply or intend the end of a relationship. The Spirit World is very alive and open to reach out if you are willing to believe and listen. The story of Karl, Nan Umrigar and the mother-son love that finally led them to embrace Meher Baba as their God and Guru – all of this will touch a chord in your heart. Their journey is paved with heartbreaks, hardships and moments you can FEEL in your heart as you read it. Yet nothing comes in the way of this mother-son love, not even Death. That is the biggest lesson of all – the ONE reason to read Nan Umrigar’s book ‘Sounds of Silence.’ READ it even if you decide not to believe it. Yet again, you introduce me to an unusual book. Thank you swapna. I am not sure that i believe in spirit healing, i find it scary. There is a girl called amudha whom people seek in TN and come from all over the world to meet her so that she can be the medium to connect them with their loved ones. Infact, she is called aavi amudha. aavi meaning spirit. Now, will mark this book, but am not sure if i will read it now. but loved your review. meanwhile did you see my latest past. i have referred you there. @Asha: Thanks so much for the Zen Garden mention. LOVED reading your review. You have done an excellent review. I loved seeing the down-to-earth, innovation-oriented perspective you brought to the review - capturing the best of everything in the book! LOVED it! I believe in the Spirit World. I am not familiar with spirit healing. Authentic mediums exist just as highly commercial ones also do. However, I don't believe in approaching any "medium" to solve my difficulties. The book reveals some very touching moments, interesting spiritual stories and if nothing else, one learns about great spiritual masters who still remain unknown and unheard to us. Sona, sounds like a very unique book and extremely interesting. Thank you for sharing. I'm going to read it. @Insignia: Thanks for reading. Indeed, spirituality is an ocean. @Anu: Great, thanks Anu. Do check it out and tell me how you found the experience. Thanks swapna for the sharing . I will surely read the book . I heard a lot about Nan Mam & in many other books of Ruzbeh , karl's name is mentioned . Its really great to know about such lovely world . looking forward to meet Nan Mam . I do not have Nan Umrigar's contact details but I read her book and felt deeply inspired by her. I wish I could help you with more information but I don't have any further information about Nan Umrigar. I hope that you find the answers you are searching for - it could reach you in the form of a book, a message from someone you trust and so on.